In this article, we will help you choose between Fuji XT20 vs Sony A6500. Both of these two cameras are mirrorless cameras with interchangeable lenses and APS-C sensors. They both are 24MP cameras. Still, there are a few distinctive differences that may make one of them better than the other, at least for certain purposes. First of all, let’s compare the dimensions and ergonomics of Fuji XT20 vsSony A6500. They have different body shapes. Fuji XT20 is generally more compact and lightweight than Sony A6500, but the comfort factors should be taken into consideration, too. See also: Fuji X T20 vs X T2. Fuji XT20 measures 118 mm wide, 83 mm high, and 41 mm thick. The weight of the body, without any lens, is approximately 383 grams. 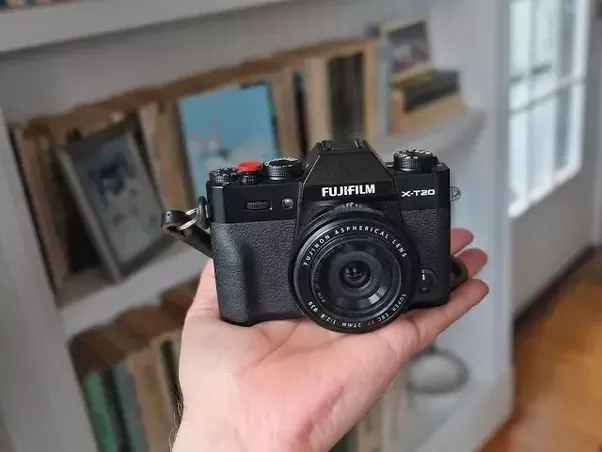 Indeed, this camera is quite compact and lightweight, so you can easily bring it along wherever and whenever you need to go. The controls are actually great, as it has multiple dials, buttons, and a touchscreen. You can easily access various functions and features. Unfortunately, the grip area of Fuji XT20 is rather small. As the effect, it is a bit tricky to handle. In addition, the body is not weather-sealed, so it should not be exposed to rain or dusty wind if you want it to last. Sony A6500, on the other hand, is slightly larger. It measures 120 mm wide, 67 mm tall, and 53 mm thick. The weight without any lens is about 453 grams. A notable feature is the large grip area. The shutter button is placed right above the grip area for easy access. Sony A6500 is properly weather-sealed, so it is ready for usage in extreme weather conditions. At first, these two models may look similar. Each of them comes with a 3-inch tilting display touchscreen which can be adjusted for shooting from difficult angles, so both models are suitable for making complex compositions. Both models are equipped with electronic viewfinders. Fuji XT20 has a slightly higher viewfinder resolution, which is 2360k dots. Sony A6500 has a viewfinder resolution of 2359k dots. The difference is not significant. The more important difference is the viewfinder magnification. Fuji XT20’s viewfinder only provides a magnification of 0.62x. Meanwhile, Sony A6500’s viewfinder can provide a magnification of 0.70x, so you can see your subjects more clearly and conduct better framing. The next thing that you need to consider when choosing between Fuji XT20 vs Sony A6500 is the continuous shooting. Fuji XT20 is pretty good in this aspect, but Sony A6500 is definitely much better. When shooting in JPEG, Fuji XT20 has a maximum burst rate of 8.2 fps and a buffer capacity of 49 shots. It is good enough for shooting some but not the fastest moving subjects. However, note that the buffer is rather limited. When shooting in RAW, Fuji XT20 has a maximum burst rate of 8.1 fps and a buffer capacity of 29 shots. Sony A6500 is better in terms of continuous shooting. The burst rate is 11.1 fps in both JPEG and RAW. The buffer can hold up to 231 JPEG shots or 110 RAW shots. In other words, you can shoot fast moving subjects properly, and you can shoot continuously for several seconds. 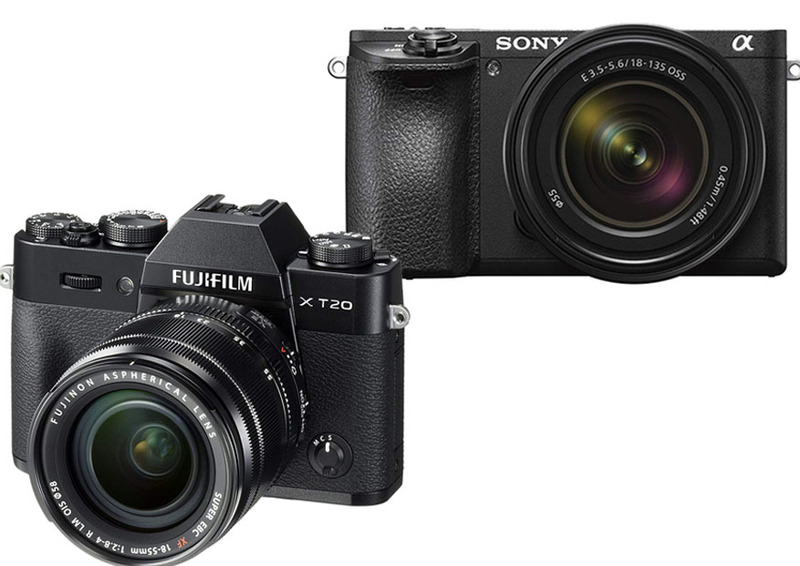 Fuji XT20 and Sony A6500 are similar that they both use 24MP APS-C image sensors. They are slightly different in terms of pixel size and pixel density, but this difference is very marginal. They generally have similar light gathering power. Fuji XT20 has an ISO range of 200 – 12800, which is expandable to 100 – 51200. 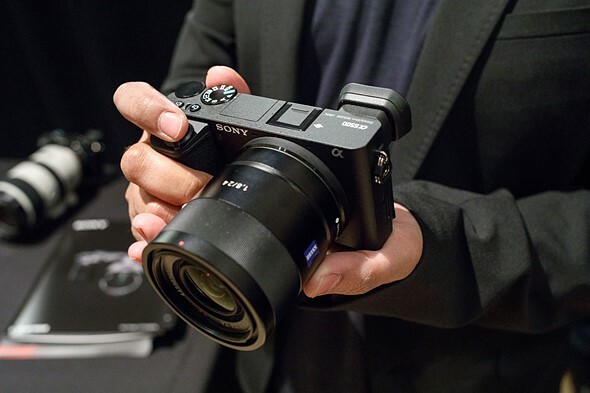 Sony A6500 comes with a wider native ISO range, 100 – 25600, but it expands to 51200 as well. The more significant difference is that Fuji XT20 doesn’t have an AA filter. As the effect, it can capture sharper, more detailed images. Cameras without an AA filter are more prone to moire, but Fuji XT20 is somehow quite resistant to moire. Sony A6500 comes with an AA filter, which effectively eliminates moire, but at the cost of slightly reduced sharpness and detail. Both cameras here have excellent autofocus. They have hundreds of focus points to give you fast, reliable focusing and tracking. However, they excel in different fields. Fuji XT20 has a total of 325 focus points. The AF system is really fast and accurate. In fact, when it comes to single focusing for point shooting, Fuji XT20 is much faster and more accurate than Sony A6500. The performance when focusing on multiple points is good. On the other hand, Sony A6500 has a total of 425 focus points. It is fast and accurate as well, but it is somehow not as powerful as Fuji XT20 in single focusing point shooting. But, for focusing on multiple points, Sony A6500 is certainly the more capable camera. It is especially great when tracking moving subjects and recording videos. Sony A6500 comes with several features that Fuji XT20 simply doesn’t have. These additional features make Sony A6500 great for shooting without a tripod and for recording videos. It also has better connectivity features. First of all, Sony A6500 has an in-body image stabilization (IBIS) system. The built-in image stabilization is incredibly useful when you are shooting with your bare hands without a tripod. It greatly reduces blurs. Fuji XT20 doesn’t have any built-in image stabilization. Second, Sony A6500 comes with a 3.5mm audio input jack, which is handy for recording videos with an external mic for better audio quality. Fuji XT20 actually has a 2.5mm audio input jack, but this size is not standard, so it will be difficult to find the suitable cable and mic. Third, Sony A6500 comes with Wi-Fi, Bluetooth, and NFC. You can easily pair the camera with your smartphone for seamless file transfer and remote control. Fuji XT20 has Wi-Fi, but it doesn’t have Bluetooth and NFC. In the end, Sony A6500 is more recommended. This camera offers a better design, overall performance, and features. It is great for shooting stills, it has very good photo burst rates, and it comes with a built-in image stabilization.